So, you’d like to be a wedding photographer? I don’t blame you. It’s flipping brilliant. I am thankful everyday that my life somehow brought me along this path. So if it’s something you’ve been wanted to do for a while too – then get on it I say. There’s a number of different routes you can take to start photographing weddings and I share some ideas over on another blog post How to Become a Wedding Photographer. Whichever route you take, sooner or later you’ll have to shoot your first solo wedding and be completely responsible for capturing someone’s wedding pictures. No pressure. You’re about to set foot in a hugely competitive and over saturated market – there are wedding photographers lurking around every corner! But don’t let that put you off – start as you mean to go on by absolutely smashing your first wedding. Weddings are crazy beasts. Very rarely will everything run to plan or stick to timings. In a rushed and pressured environment like this it is very easy to make mistakes, miss shots or forget something important. When you’ve been shooting weddings for a while you can anticipate this craziness to some extent – you’ll certainly be able to react to it much more quickly. But when you’re first shooting weddings, something throwing off the the timeline can really affect you. There’s no way you can plan for every eventuality but you can take steps to prepare for as much as possible. Here are some of my (occasionally hard-learned) top tips to prepare for shooting your first wedding. I don’t do venue visits anymore. If a couple ask me to visit their wedding venue before the big day, I’ll explain that I don’t really need to. I’m an experienced wedding photographer and I’m capable of dealing with whatever light or shooting situation I come up against. I will normally arrive early at the venue on the day and have a quick look around the main rooms and check out the grounds to find the best spots for group photos or check out the ceremony room. But early in my wedding shooting days, I did visit every single venue before a wedding day. It gave me the chance to have a really good look around before the wedding itself, find spots for portraits and group shots and generally get a feel of the venue. Would it have made a massive difference if I hadn’t done this for my early weddings? No maybe not, but I know it gave me one less thing to worry about on the wedding day. Your wedding paperwork is SO important! It is basically the source of all your wedding knowledge. In my experience, when photographers rely on verbal information, things go wrong. My couples complete a questionnaire before their big day. My wedding questionnaire includes – names of the couple, full addresses for preparation, ceremony and reception, emergency contact numbers, timings for the whole day, a list of group shots they’d like and a separate area for them to tell me anything special or important I should know about. I even ask if there are any awkward family relationships I should be aware of – as I do have the tendency to put my foot in it occasionally! This holy grail of information never leaves my side on a wedding day. It helps me plan what time I’m arriving at bride prep, how long I need to travel in between venues, when to do my portrait session and even if I need to bring a packed lunch! It also manages my clients expectations by advising them on the number of group shots to choose and reminding them to check with the church or venue if there are any restrictions such as a ban on confetti for example. 3. Meet with your client before the wedding day. I still always try and meet with my couples before the big day. It’s nice to have met at least once in person before the craziness and emotions of a wedding morning. But it’s even more important when you first start shooting weddings. Hopefully you’ve followed my advise and made sure the clients are aware of your level of experience (again – please check out my blog post about shooting weddings here). Managing expectations is really important. One of the biggest causes of unhappy customers is a mismatch between what the customer wants and what the photographer delivers and often this comes down to miscommunication. Meeting with your clients and running through their big day in advance can help you avoid these problems. Have the wedding questionnaire with you – or fill it out with them at their meeting. Discuss their big day – get a feel for the vibe of it and what’s important to them. Ask them what they’d like from their photography. Be clear about how you’ll be working on the day, how long you need them for portraits, how long group shots will take. If you spot a problem in their timeline – mention it now. Tell them what time you’ll be arriving and leaving and how long you’ll take to deliver your images after the wedding. For good measure, after the meeting, send them an email confirming everything you’ve spoken about too so you and they can both refer back to it. Posing is without a doubt the thing I struggle with most on a wedding day – it always has been and it probably always will be. I want to deliver a beautiful set of portraits from each wedding but the reality is most people feel slightly awkward and uncomfortable in front of the camera. I see it as my job to make sure that doesn’t come across in the images and that is not easy. It’s taken a whole lot of practise and intentional learning for me to get to the stage where I feel comfortable posing clients. I can lightly direct them, help them relax and use the light and surroundings to get some beautiful images. I won’t lie – some couples are much easier than others! As with everything, the more you practise at something the better you get. Give yourself a head start for weddings by practising your posing and shooting techniques with couples before the big day. Offering an engagement shoot to your couples before their big day will probably make them very happy – but will also be really beneficial for you too. You’ll get the chance to practise posing techniques in a relaxed and non-pressurised environment. I shot my first few weddings with one amateur level camera, one kit lens, one 50mm cheap-as-chips lens and one flash that I had zero idea how to use. I am SO lucky that none of my equipment failed. And believe me it can. I’ve seen desperate posts from photographers on Facebook groups who were at weddings and had a kit failure. Sometimes it’s been a brand new camera that they’ve only had for a couple of weeks. No kit is infallible. If you have taken on the responsibility to capture someone’s wedding day, it’s your responsibility to have back up kit with you at all times. It’s no good in the boot of your car! If you can afford to do so buy another camera body. If you can’t afford to buy then hiring is always an option. It’s not the cheapest – but it’s a damn sight cheaper than being sued for losing someone’s images! Before the big day make sure you’ve got enough batteries to last you through the day. Most wedding day I’ll change the battery once in each camera, twice at the most – but I still have about 10 extra charged batteries with me ready to go just in case. Same with memory cards – I always have many more than I need. In addition to your technical equipment it’s a good idea to have a go-to kit in case of emergencies. Headache tablets, bottled water, spare clothes, spare shoes (for when you accidentally walk across a bog chasing the sunset – true story) a sewing kit, a blanket in case you lie on the ground. As the number of weddings you shoot grow – so will your emergency kit! 6. Take a spare pair of hands with you. Shooting your first wedding is a fairly terrifying and nerve wracking experience. Having a friendly face and spare pair of hands with you can make a huge difference. When I booked my very first wedding I pleaded with my camera happy friend to come along with me for some moral support. Happily that camera happy friend was Stuart, who many of my past couples know and love. We made quite a team and spent 3 years shooting together at every wedding. Of course our relationship at a wedding was technically one of primary and secondary shooter – but in reality we were friends and having him with me made weddings that bit more enjoyable. Stuart’s now moved on to pastures new (sob) but I’m lucky enough to have lots of photographer friends who shoot with me on a regular basis. You may decide that you’re happy to shoot weddings on your own, or even dislike having a second shooter with you – but in the early days having that extra pair of hands to help carry equipment, gather guests for group shots, keep an eye on timings or even fetch you a glass of water when you’ve not had time to stop – this can make all the difference. The night before your first wedding is unlikely to be the best night sleep you’ve ever had. In fact that might continue long past your first wedding. Whatever you do, don’t hit the snooze button. Being late is the worst thing you can do on a wedding day – it’ll make you more stressed and it’ll stress your couple out too. Traffic problems can happen anywhere and at any time so always plan to arrive at your destination much earlier than you need to do – I aim for 30 – 45 minutes early. If it’s smooth sailing and you get there early, it’s the perfect opportunity to run through the timings of the day again, have a quick flick through some wedding images that inspire you or, if you’re like me and take a book everywhere, grab a cup of coffee and relax for 30 minutes. You’ve arrived. Hair and make up is being done, the hotel room looks like a bomb has gone off. Don’t worry this is normal. Wedding morning chaos is something you’ll get used to. But for the next 8 – 10 hours this is your life. Time will run away from you, people will go missing just as you need them, the weather will turn on you, the occasional small (or large) crisis may occur. And throughout all this it’s your job to document and capture the day to the best of your abilities. My one piece of advise here – breathe. Take a moment to slow down, check your paperwork and lists, keep your eye on the time, talk to the wedding coordinators, check you’ve got what you need. 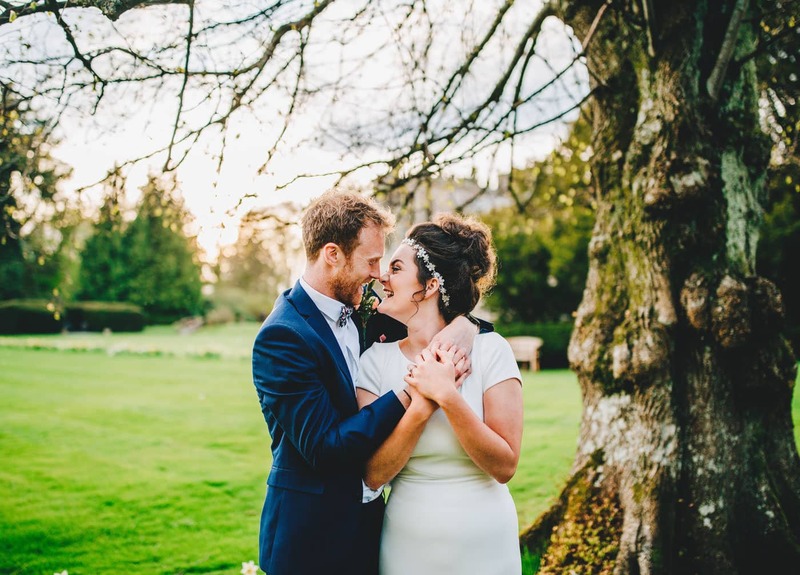 During each section of the day – prep, ceremony, drinks reception, speeches, groups, portraits, evening, dancing – take a few minutes to make sure you’ve got everything you want. 9. You’re the professional – so act like it. You know the saying ‘Fake it till you make it’? This applies here. Your bride and groom, and perhaps even their close friends and family, know you are shooting your first wedding. But no-one else needs to. Act like a professional, take charge during group shots, keep to your schedule as much as you can, make sure you’re not making the day run late by taking the couple off at the time they are expected for their meal, liaise with the venue and the other suppliers, be polite and firm to get the images you need. As you continue with weddings, this will become more natural – you will become the expert, you will become worthy of the title of professional. For now though – an outer appearance of confidence, even when you’re completely panicking inside – can really help. When you get home after that first wedding you’ll probably be feeling a huge range of emotions – from elation to apprehension. The first job is to get those images safely from the memory cards onto your computer and hard drives and backed up as soon as possible. We’ll talk more about securing images in another post but until those images are safely backing up, I can’t sleep! Grab a glass of wine – you deserve it! Next job is editing and delivering the images – a task in itself! But I’m sure you’re already hooked on weddings and ready for your next one. I hope this post has been helpful. There are lots of other business tips and hints on my Photographers blog.